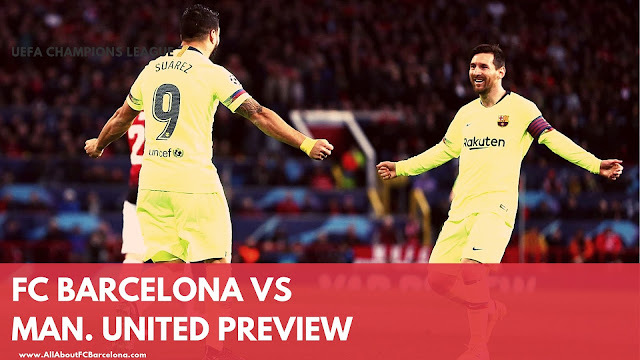 Barcelona would be looking to produce a perfect Night at Camp Nou after a very sub-dued performance in the first leg. Barcelona holds a definite advantage against Manchester United when they line out for the second leg of Champions League Quarter Final at the Camp Nou. Despite the lackluster display in the first leg, Barcelona looked pretty solid in defense. That is a welcome change for a side which has shown some defensive fragility in recent past. Barcelona fans would be hoping for a better display from their big match players in the second leg. Even though he created the goal in the first leg, Lionel Messi had a very average night at Old Trafford. Everyone is hoping a big night from him in the Quarter Final. He hasn't shown in Quarter Finals for some time! Next story "Figo se fue del Madrid por razones presidenciales’"